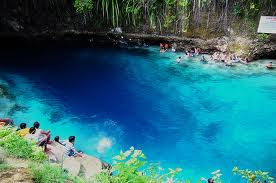 Hinatuan is a 2nd class municipality in the province of Surigao del Sur, Philippines. According to the 2000 census, it has a population of 36,170 people in 6,445 households. Hinatuan is politically subdivided into 24 barangays. Bislig City can be reached by air or sea travel from Manila or Cebu via Davao City or Butuan City or Surigao City. Commercial buses or vans for hire are available: 3 to 4 hours from Butuan City or 5 to 6 hours from Davao City. 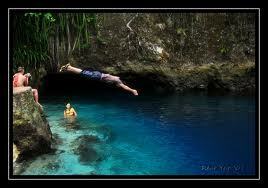 Within Mangagoy go to the integrated terminal and rent a jeepney that will bring you to Hinatuan Enchanted river. Single motor’s are also available between 100-150php per head. 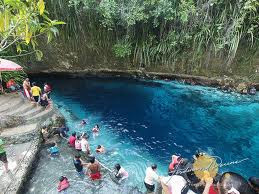 From Hinatuan national highway to Hinatuan Enchanted river it was around 12kms. Entrance – No Entrance Fee as of this moment, they only accept donations of any kind and value.